They source the best ingredients from all over the world to great a delicious creamy gelato. They use Tahitian Vanilla Beans, Dulce de Leche, Belgian Chocolate, and Alphonso Mangos. Talenti Gelato has 30% less fat than ice cream. After graduating college, Josh Hochschuler traveled to Buenos Aires and overstayed his visa. Hochschuler stayed for five years and when he traveled back home he also brought back his appreciation for gelato. He decided that gelato was a niche in the US ice cream market that was not being filled. He began by opening a gelato shop but quickly changed gears to focus on getting his gelato made with real ingredients and old-world craftsmanship into grocery stores, restaurants, and homes. 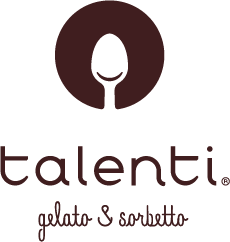 Talenti continues to expand its flavor collection as it remains the #1 Gelato Brand in the US.